This is a rectangular Adams Express Company’s Money Orders porcelain sign. This particular Adam’s Express Company sign is predominantly green with white text. 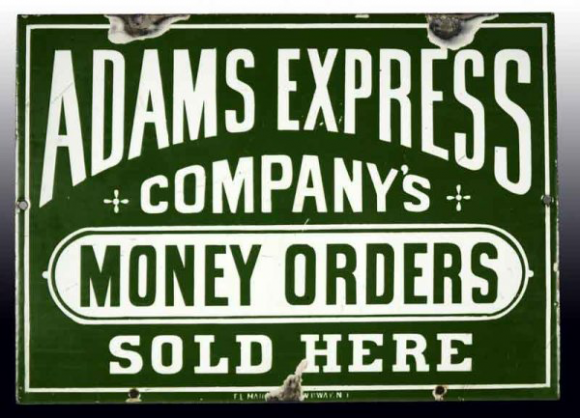 It reads, “Adams Express Company’s Money Orders Sold Here” and has no other design.